Talk to your friends, family, coworkers, and neighbors. You know people who own their own home and you know people who have used roofing contractors on their home. The very best way to get good quality products and services is to get personal recommendations from people you know and trust. The best thing is when two (or more) people give you the same recommendation independently of each other. Look online. There is pretty much nothing that cannot be found online. You can check out sites like Angie’s List and Yelp. You can also check Facebook There are a lot of places around the United States that have set up groups and pages to promote local businesses. If you do not see any information about roofing companies listed, ask! People love to help out with things like this. Talk to a few companies. When you are looking at hiring a roofing company to replace your roof, you need to talk to a few companies. While it may be tempting to hire the first company you talk to and like, this is a mistake. Not only will you not know for sure what your options are but you may miss out on a great company because you went with a good one. Also, you will feel better, in the long run, when you take the time to talk to a few companies. Get estimates in writing and have people visit your home It is really hard for roofing contractors to know how complicated a job it will be to replace your roof if they do not come out to your home to see it and see what the roof replacement job will entail. 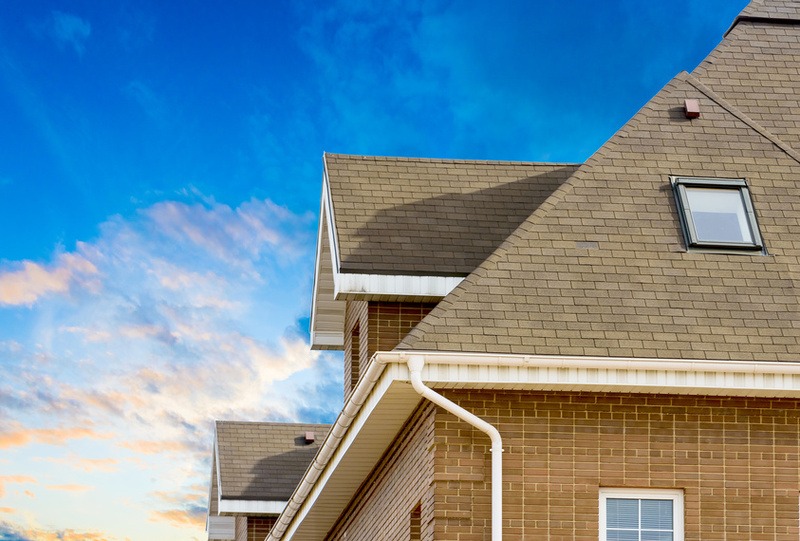 After they view your roof and your home, make sure you get itemized quotes in writing. Having these written out will help you compare and contrast the estimates you receive but can also prevent unpleasantness when you get the final bill. If your bill and your estimate are itemized, you can make sure they charged you what they said they would. Make sure they have the right licenses and insurance. Find out what is needed for this work to be done in your area. There are different rules and regulations for different cities, towns, and states. You should find out what they are for the area where you live before you start talking to roofing companies. When you talk to them ask about this but take the time to verify anything they tell you. If they do not have the right insurance and a worker is injured while installing your new roof, you can be legally liable. It is worth your time to check on this before you hire anyone. Ask about their turnover rate. Workers who are treated well and paid a decent salary are better at their jobs. Ideally, you will get a roofing company that does not have a huge problem with turnover. You should also ask how they find and train their people. These workers are going to be and around your home, so you need to feel secure knowing your family is safe and that no one is going to steal anything of value while working on replacing your roof. Ask about the permits you will need. Again, you should take some time to learn what permits are needed when a roof replacement is done. In general, the roofing contractor will take care of these but if they do not, it will be you who will have to pay the fines and deal with all the consequences. It is well worth your time to look into this before any work begins on your home. When you need to have a new roof installed on your home, your first thought may be that this will be a pain. The truth is that it may pay for itself by lowering your energy bills and usage.